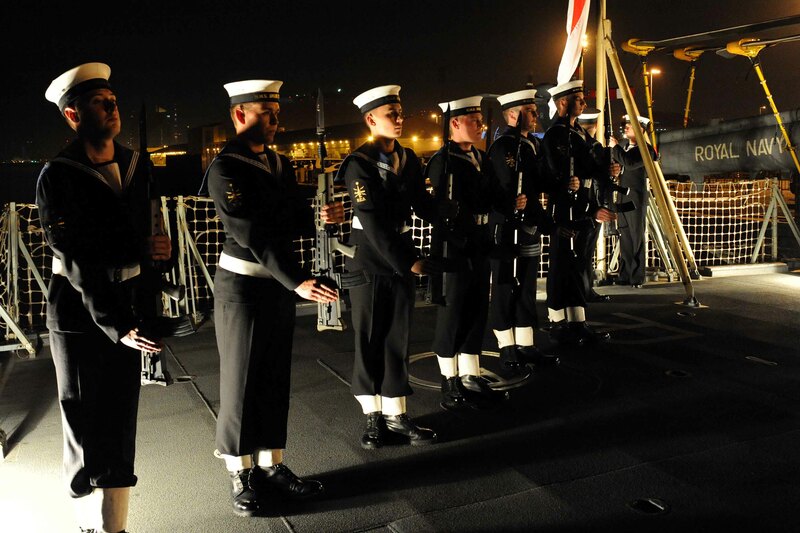 ﻿The Royal Navy’s HMS Iron Duke has completed a successful visit to Kuwait to help celebrate the 50th anniversary of the country’s independence in 1961 and the 20th anniversary of her liberation from the Iraqi invasion of 1991. The ship’s attendance is part of a wider involvement in the event by British armed forces to mark the achievements of the 1991 campaign. 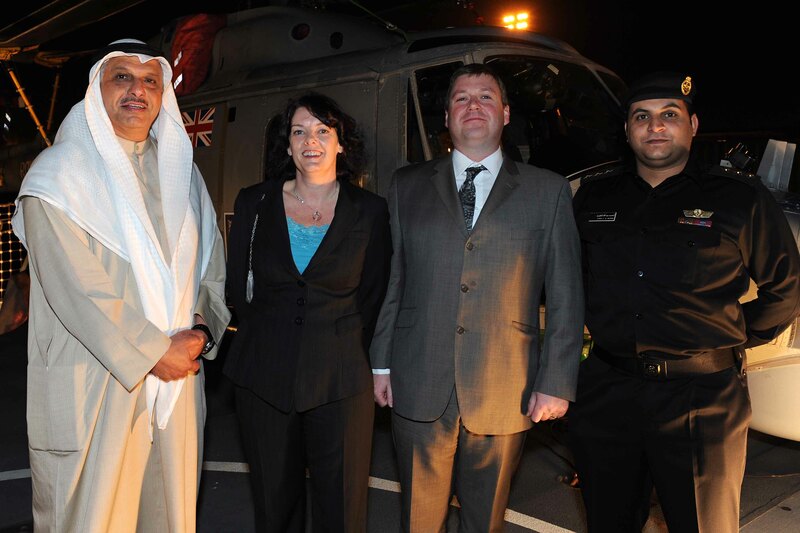 The centrepiece of Iron Duke’s stay was an official reception for 200 guests held on board on Wednesday 23 February. 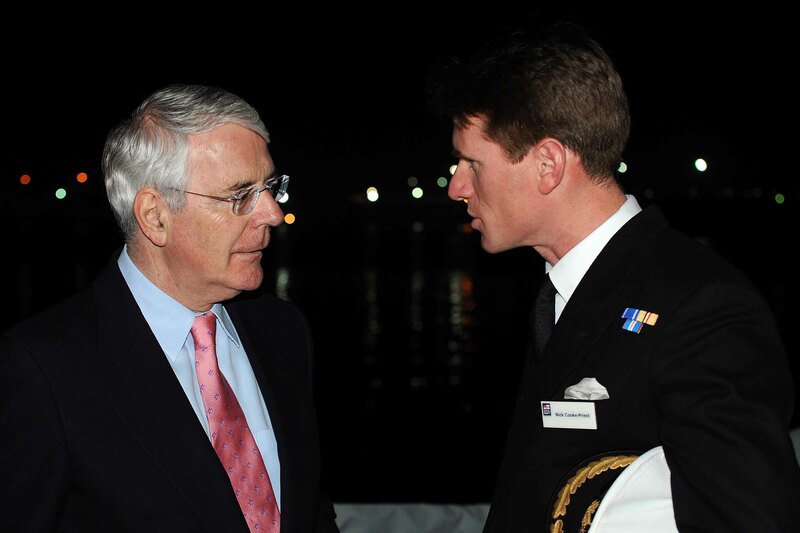 Many leading figures from the 1991 operation attended, including former British Prime Minister Sir John Major, whilst the ship also welcomed officers from the Kuwaiti armed forces and other coalition partners. While in Kuwait, Commander Nick Cooke-Priest, HMS Iron Duke’s Commanding Officer attended the opening of the UK Wall in the Kuwaiti National House of Works, another element of the 50/20 commemorations. Local school children were given tours of the ship, and members of Iron Duke’s Ship’s Company enjoyed exploring Kuwait and the surrounding area, many for the first time. While in the Arabian Gulf, HMS Iron Duke is participating in Combined Maritime Forces (CMF) operations. Her work includes counter-terrorism, counter-piracy and human trafficking prevention, exercises and operations with regional naval forces, and wider regional engagement on behalf of the UK government. The ship left the UK in early January, took responsibility in her national capacity as the “Operation TELIC” frigate on 8 February, and is due to return home in late July.